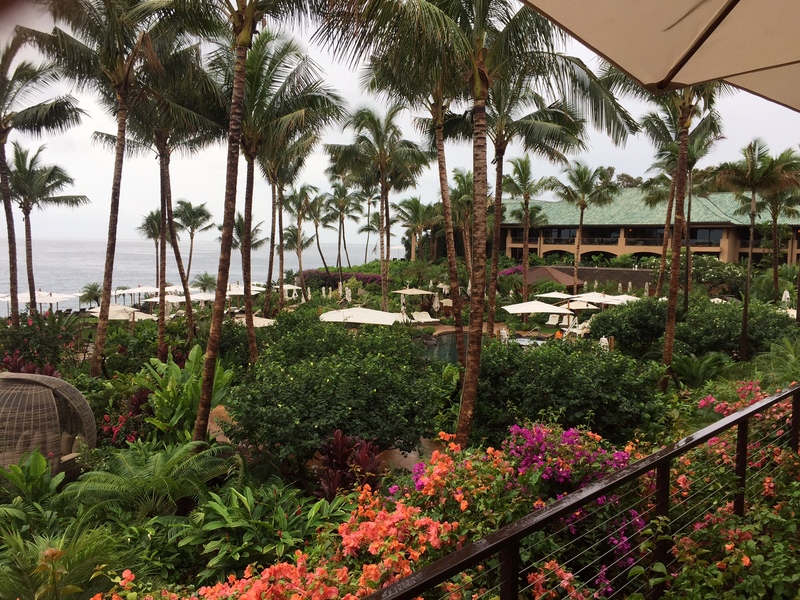 The New Four Seasons Resort Lanai – Worth the Detour! Every so often, you can pinpoint the moment you know you’re someplace special — for me, that moment was upon arrival at the new Four Seasons Resort Lanai when I was handed not just pineapple juice, but pineapple juice WITH a dash of jalepeno and lime. Yep, that’s when I knew this resort was a cut-above any place I’ve ever stayed. For starters, the newly renovated lobby is a 180-degree turn from the lobby I remember from eight years ago, when I last visited the island — out with the 1980’s-style decor… in with the rich, deep woods, delicate accessories, and exquisite furnishings deserving of the Four Seasons brand. You’ll find a more open floor plan, too, with reservations, concierge, and front desk areas that are conspicious, yet well-blended into the airy atmosphere. The room interiors showcase walls of teak and zebra wood edging artisan-produced Nepalese Lokta paper and floors of mahogany laid with wool hand-woven area rugs. After taking-in the beautifully-designed lobby, I had high expectations for the guest room, and I should note that it did not disappoint. Inspired by Hawaii’s diverse and storied influences, the room interiors showcase walls of teak and zebra wood edging artisan-produced Nepalese Lokta paper and floors of mahogany laid with wool hand-woven area rugs. 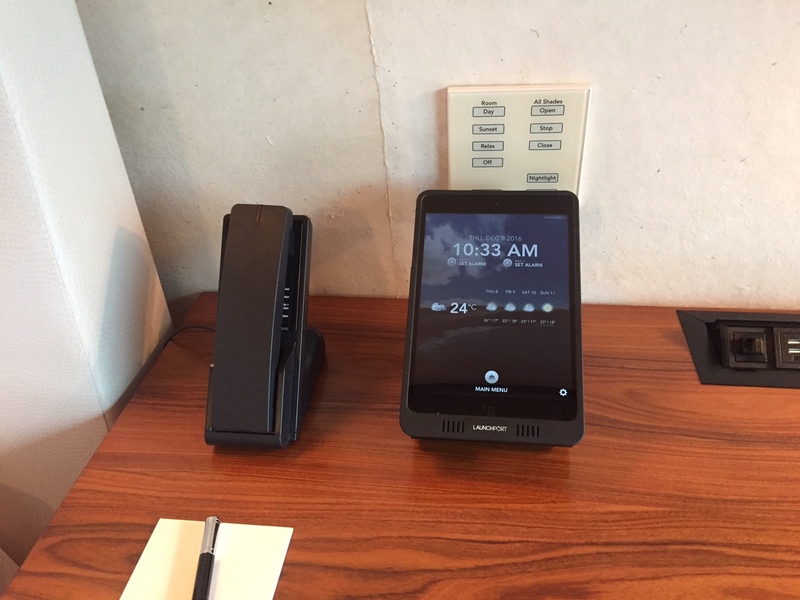 Then, there’s the technology: You’ll find fully integrated and intuitive lighting, temperature, service, and privacy controls for a highly responsive in-room technology experience. Each room comes equipped with an in-room iPad Air, so you can browse activities and resort information, plus a 75 inch, platinum bezel LED television panel. Suites are also available for larger parties or for those who want to take luxury to the next level. The Ohana Ocean Front Suites feature an open design with neutral colors and rich hardwood floors keep the focus on the blue ocean view. The separate living room and bedroom have two full bathrooms, including a Japanese wooden soaking tub in the master bath. The private lanai is furnished for outdoor dining or relaxing. Relax after a busy day in the sun with your 75 inch, platinum bezel LED television panel. 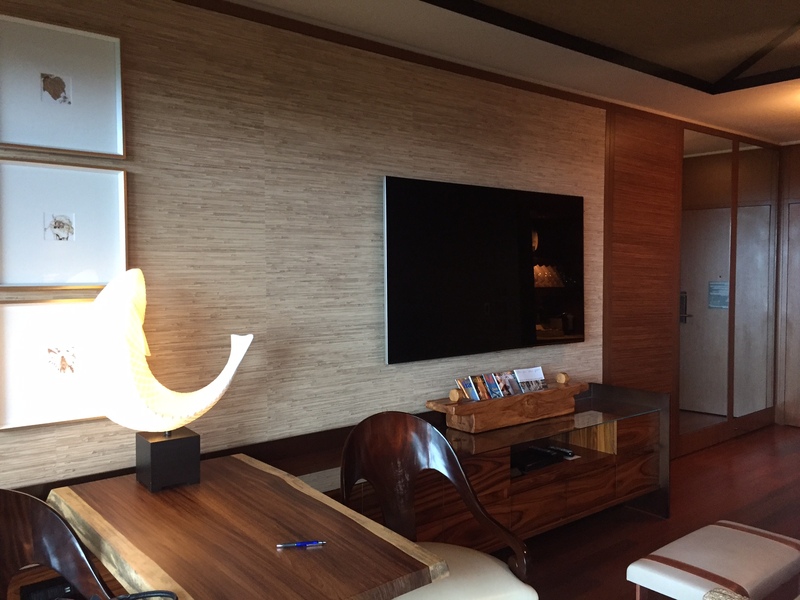 The two-bedroom Alii Royal Suite presents spectacular panoramas of the Pacific and Hulopoe Bay and features a formal living room, media room with 85-inch platinum bezel LED TV as well as a separate dining room seating six. The private lanai is fitted with a dining table, lounge chairs and daybed perfect for relaxation. 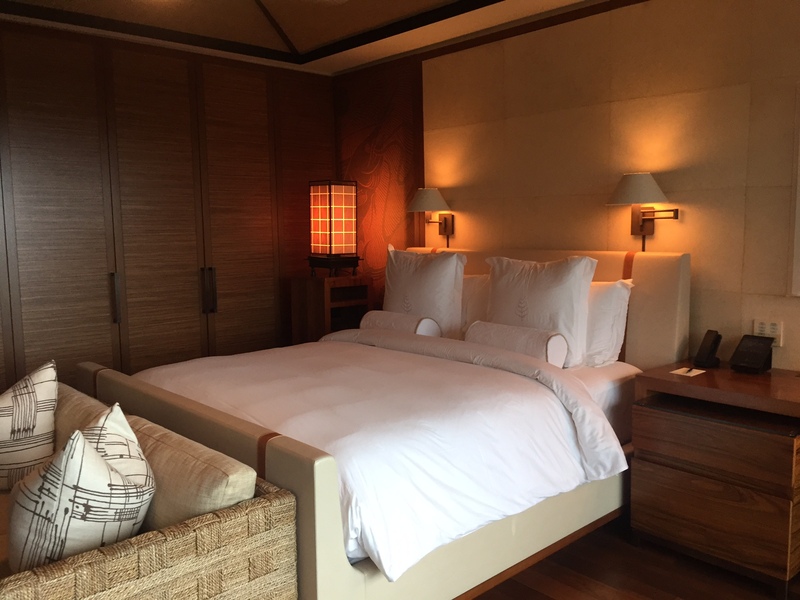 The suite becomes a three-bed with the addition of Four Seasons Prime Ocean Front Studio Suite. And, for those of us keen on losing our keys, there’s good news: The resort offers wearable key wristbands to allow maximum flexibility during activities on island. Each room comes equipped with an in-room iPad Air, so you can browse activities and resort information. Outside your room, you’ll notice first-class amenities and grounds that support the resort’s AAA Five-Diamond designation. Because of the expansive botanical gardens, you never feel overwhelmed or crowded. The resort’s intimate enclaves as well as spectacular vistas to the Pacific Ocean and serve as a beautiful backdrop for the resort’s outdoor art and sculpture. For families, a lagoon-style, free-form central pool features a cascading waterfall and two spas. Adults can find respice at the adults-only Retreat, whose waterfalls and lava rock grottos echo Lanai’s iconic cliffs and offer stunning views of Hulopoe Bay. A lagoon-style, free-form central pool features a cascading waterfall and two spas. From arrival to departure, the experience at the Four Seasons Resort Lanai was not just first-class, but in a class of its own. Although the atmosphere is reminiscent of the Manele Bay Hotel I knew and loved, this new (and improved) resort is ready and poised for a new generation of discerning guests. Maybe you’ll be lucky enough to be one of them!